A recent rule change will allow entrepreneurs seeking investors to reach a much broader audience. Potential investors will soon begin seeing opportunities pop up in their Facebook news feeds and in their email inboxes thanks to a major rule change from the Securities and Exchange Commission. In September, the agency removed the decades-old ban on public solicitation for private investments. This means private investments can now be marketed to the general public, which will allow entrepreneurs to reach a much broader audience than securities law used to allow. The nascent crowdfunding market, which uses the Internet to pool small investments from many investors, stands to benefit significantly from this rule change. Right now, crowdfunding sites like Kickstarter and Indiegogo are not subject to securities laws because they allow people to give money to support projects and individual initiatives, not invest in them. In the roughly four years they’ve been in existence, these two sites have raised close to $1 billion in contributions for thousands of projects. Startups and businesses have taken notice. They have begun to use similar online crowdfunding platforms—but to gather investments. And thanks in part to the SEC’s new rule, the equity crowdfunding market is poised for rapid growth over the next decade. Deloitte expects all forms of crowdfunding to hit $3 billion globally this year and to grow at a compound annual growth rate of 100% over the near term. Equity crowdfunding is expected to perform even better, with a compound annual growth rate of 114%, according to the crowdfunding advisory firm Massolution. To be sure, the SEC’s change to Rule 506 doesn’t allow just anyone to invest. Only “accredited” investors—with a net worth of more than $1 million, or who earn at least $200,000 a year—can continue to participate in equity crowdfunding. The new rules require proof, whereas self-attestment sufficed previously. Many hope that the SEC will issue additional regulations that would let smaller investors get in on the action. Meanwhile, accredited investors are responding. Equity crowdfunders for accredited investors—including FundersClub, Angelist, CircleUp and my company, OurCrowd—are bringing in tens of millions of dollars for private investments through online platforms. And now that the SEC has removed restrictions on the companies’ public advertising, sites will at last be able to speak directly to customers. The resources that might be tapped are staggering. The Royal Bank of Canada estimates that more than $45 trillion of capital sits in the pockets of high-net-worth individuals world-wide. Roughly $10 trillion is held by about five million U.S. households, according to the private-equity firm Carlyle estimates. Without public solicitation or Web-based crowdfunding portals, there was no way to reach beyond a small percentage of investors. This money wants to move. According to April’s Northern Trust survey of high-net-worth investors, more than half of them are actively seeking new investments. And 30% are more inclined to consider alternative investments than they were five years ago. A new class of angel investors, affluent individuals who invest personal funds in companies, is another byproduct of the burgeoning crowdfunding movement. These angel investors are no longer just former startup founders. They’re a younger, broader class of Internet-savvy investors ready to evaluate and pick deals online. Managing these new angels will require “venture education.” Some crowdfunders post numerous deals and rely on the wisdom of the crowd to weed out the bad ones. Other platforms offer limited options to maintain credibility with potential investors. This presents some challenges for sound portfolio management. Should angels invest in multiple private deals to spread out risk and retain enough capital to cover losses? Those running crowdfunding platforms will need to give advice and support to angels to help them avoid taking big losses on one or two opportunities. Professional investors know that they must provide value to companies beyond the capital they invest. 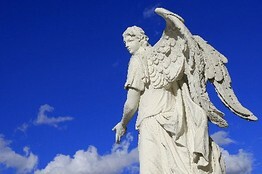 Inexperienced angel investors may be less aware of that obligation. The equity crowdfunding portals will need to facilitate investor involvement. Investors have to find ways to sit on boards and become mentors to help companies handle growth, hire the right people and make good strategic decisions. The crowdfunding model allows investing to move beyond Silicon Valley and Wall Street to Main Street. The next generation of angels is likely to include successful doctors, lawyers, contractors and real-estate professionals who want their share of the next Apple or Microsoft. The real question is if government regulation can continue to keep up with this rapid innovation. Mr. Medved is the CEO of OurCrowd, an equity-based crowdfunding platform based in Israel. A version of this article appeared October 9, 2013, on page A17 in the U.S. edition of The Wall Street Journal, with the headline: An SEC Rule Change Opens a New Era for Crowdfunding. With money in their pockets and change on their minds, some 700 angel investors flocked to the Angel Capital Association Summit in San Francisco this week. Along with macro issues like best practices for syndicating rounds and navigating the Series A crunch, attendees buzzed about the JOBS Act, new funding platforms and other recent changes to the $20 billion a year marketplace of private investing. One of the most popular panels however, focused on a topic that’s always been near and dear to investors: exits. “We don’t know if we’re investors until the exit occurs–until then we’re merely donors,” said Ohio TechAngel Funds Founder John Huston, eliciting laughter and some wistful sighs in the packed conference room. The panel–“8 Steps to Lucrative Exits”–was one of five devoted to the topic, with Huston suggesting all angel investors set up a process for achieving an exit before they ever enter a deal. Huston focused entirely on exits through acquisition–a topic worthy of tutelage given the sluggishness of late. According to a recent report by Dow Jones VentureSource, M&A activity declined 44% during the first quarter of 2013 compared with the previous quarter, with the most recent quarter being the lowest since the first quarter of 2009. Huston advised investors to set exit expectations with founders from the onset and build the company for acquisition–not shareholder value. He said simply growing revenue, although nice, was too slow a process to incite high bids. To maximize buyer value he suggested compiling a hit list of the top five strategic acquirers based on their willingness and ability to do a deal. Determining which customers they’d like to secure [and then beating them to it] and mapping their organization chart to sell the deal should also be part of the process, he said. “Your goal is to move the strategic acquirers from greed to fear mode which is ‘Wow, I sure hope my biggest competitors doesn’t acquire them first.’ We only hire bankers [to run the sale process] if we are convinced they can do this and run the process with multiple bids,” Huston said. Greg Sitters, managing director of New Zealand-based Sparkbox Venture Group, said he began using a similar process about four years ago and has had four of his 40 companies exit so far. Striking a balance between growing each company with additional capital and securing a solid exit has been key. Teresa Esser, managing director of Winsconsin-based angel group Silicon Pastures, said her group is constantly trying to bring more of a science to the exit process. Silicon Valley hosts the country’s most active venture capital firms but has only one of the top 10 angel groups from 2012, in terms of the number of deals done. Amid reports of an angel funding boom that threatens to become a Series A crunch, a new report shows early stage investing in 2012 was relatively calm. The median deal size shrank slightly to $600,000 from $625,000 the year before. Valuations of the companies funded held steady at $2.5 million. Meanwhile, only one of the top 10 angel groups that did the most deals in the country last year is based in Silicon Valley — Sand Hill Angels which ranked No. 6. Here are some other trends found in the annual Halo Report from Silicon Valley Bank, CB Insights and the Angel Resource Institute released on Tuesday, just before the three-day Angel Capital Association Summit kicks off in San Francisco on Wednesday. — Shift from the hubs: California and New England, which account for two-thirds of venture investing, aren’t as dominant in angel fundings. The regions accounted for about 31 percent of angel deals in 2012, down from 35 percent the year before. The big gainers were the Southwest (13.3 percent in 2012 from 11.4 percent the year before) and the Northwest (9.3 percent vs. 7.8 percent). — Life science drops: Life science investing sent from 25 percent of deals in 2011 to 21 percent of deals in 2012. The biggest jump was in mobile and telecom deals, which grew to 13.3 percent from 9.3 percent. In terms of money, Internet startups were No. 1 with 27.3 percent and mobile/telecom was No. 2 with 26.5 percent. Those aren’t numbers you might expect to see from an overheating market. — More co-invested deals: The number of fundings where angels co-invest with other types of investors, such as venture firms, in growing dramatically. It made up just 41.4 percent of deals in 2010 but was up to 69.3 percent last year. But the median round size of a co-invested funding actually dropped in that same time frame, going from $3.58 million in 2010 to $2.97 million. — Revenue first: Most startups that got money in 2012 (63 percent) also had revenue to show before the angels opened their wallets. — Convertibles are in: The number of deals involving convertible debt, essentially a loan that turns into equity at later rounds, rose. It made up 11 percent of deals in 2012, nearly double the share of the year before. Cromwell Schubarth is the Senior Technology Reporter at the Business Journal. His phone number is 408.299.1823.